Like Nigeria and Kenya, Liberia has followed suit in the trend of outsourcing schools to multinational corporations. On July 15th, Liberian education minister George Werner announced the expansion of Partnership Schools for Libera (PSL), a “pilot program” that began in January 2016. The data used to support this decision, however, is questionable; the Washington D.C. research centre monitoring the trial has yet to release their report, and Bridge International Academies (BIA) – their central partnership – is known to provide fake statistics and threaten those who suggest differently. Werner believes that, due to the country’s “poor governance” and corruption – which negatively affect the funding and monitoring of schools – this privatization is the only option to educate students in a sufficient and sustainable way. Similar arguments were made about countries such as Uganda, who face similarly low enrollment rates, to justify these schools. The debate, then, becomes a matter of priority: whether or not countries will take measures that supposedly allow more students to access better education – when such measures infringe on the country’s autonomy as they lose control of their public services. Though these programs are often marketed to citizens as an immediate fix in the face of crisis, the multiplication of corporatized schools across Sub-Saharan Africa makes the thought of a corporate education system in Africa a frightening possibility. Reminiscent of the scramble for Africa, these supposed partners are controlling education systems as they would a business – driven by profit – and, as they transmit their ideology through U.S.-based curricula, they take control of intellectual property. Regardless if one believes that privatization is the only option, or if African countries are better off rebuilding their public systems, schools must prioritize their students. The expansion of PSL in Liberia without any consultation, accountability, or transparency shows that they not only fail to listen to the citizens’ voices but actively thwart communication by suppressing dissent. This, according to UN Special Rapporteur for Education Kishore Singh, violates Liberia’s moral and legal obligations. Foreign companies setting up shop in Africa under the guise of philanthropy often do long-term harm to the nation they are supposedly helping. By not acknowledging the agency of the country and its citizens –nations that are often already trying to take control of their government administrations– corporations are privileged in these systems, and thus, like Bridge, can get away with more. Bridge’s refusal to release credible data, then, makes those pondering the outcome of this expansion ask what they are hiding, and what impact they have on Liberian youth. 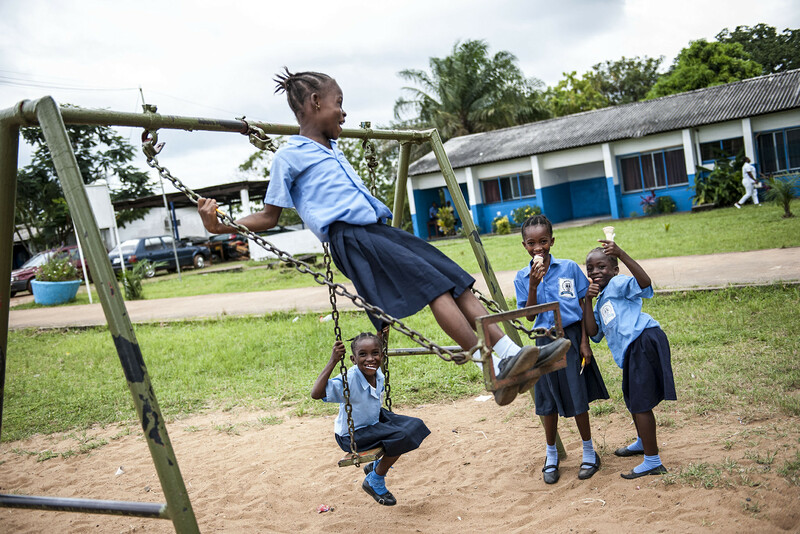 With one of the world’s lowest primary school net enrolment rates in 2016, Liberia required, in president Ellen Johnson Sirleaf’s words, a “bold” and “innovative” new education policy. This education crisis reflects the difficulties of rebuilding Liberia’s programs while suffering the effects of civil war (1999-2003) and Ebola (2014-2015). Currently, Liberia’s schools are in the lowest percentile of net enrollment rates. Those who attend school, moreover, struggle to reap the benefits; under 20% of Liberian women who reached grade five can read a single sentence. Teacher absenteeism is another major issue. Lacking government funds and access to banks in remote areas, teachers often are not paid on time –or at all– and thus do not show up for work. That’s where multinational corporations came in. BIA –controlling the most schools in PSL– co-founder Shannon May is teary-eyed as she speaks of these conditions at a conference in Nairobi in February 2017. But with little reliable data to suggest that her partnership schools have improved the statistics, how can her heart be so sure she has the solution? Countries in Sub-Saharan Africa with similarly tumultuous public schools have turned to BIA in aims to provide students with education that is more reliable and consistent –or rather, Bridge came to them, with open arms and large wallets. 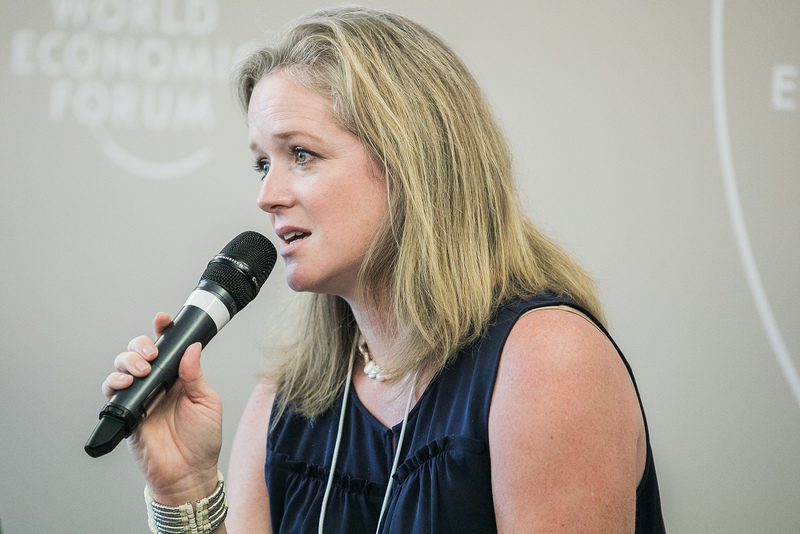 The Kenya-based BIA was founded by anthropologist Shannon May and entrepreneur Jay Kimmelman. 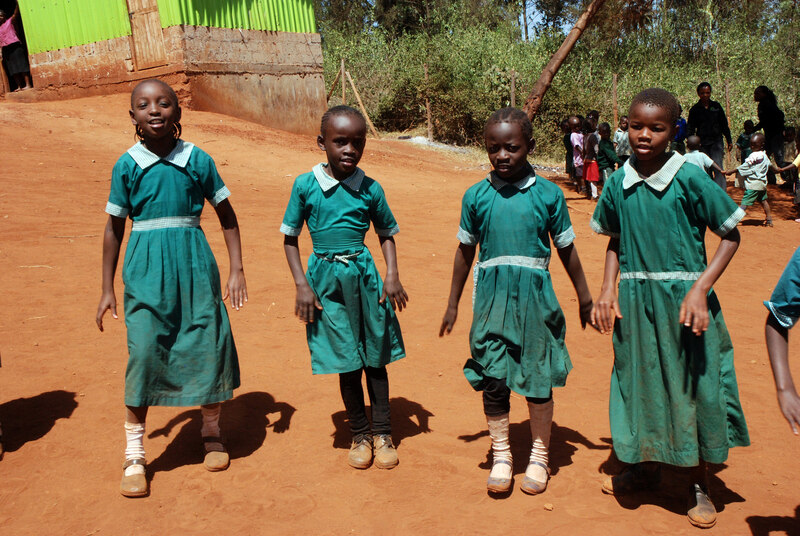 From their first school in Nairobi in 2008, their for-profit company has expanded to India, Nigeria, Uganda, and Liberia. Their goal of educating 10 million students in 2025 suggests their footprint on Africa will only continue to grow larger. 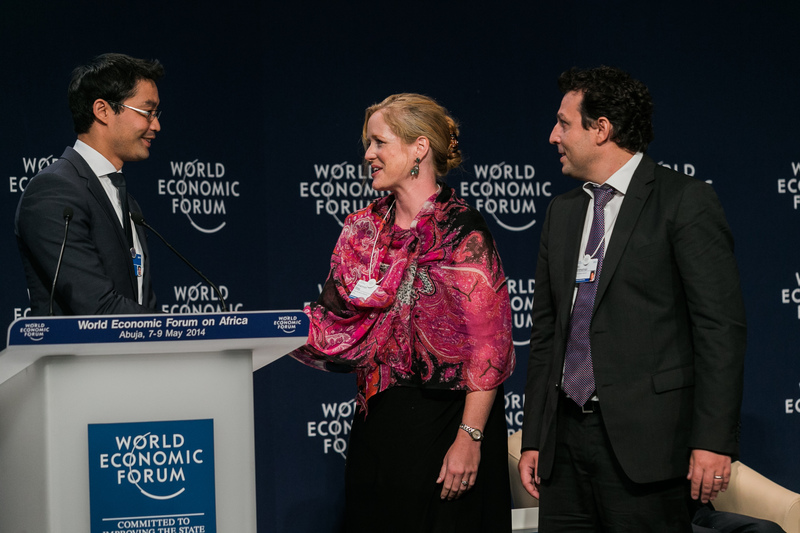 To get to where they are now, BIA has attracted the praise –and pockets– of the World Bank, Mark Zuckerberg, and Bill Gates. Their accumulated funding now boasts a sizable $100 million. 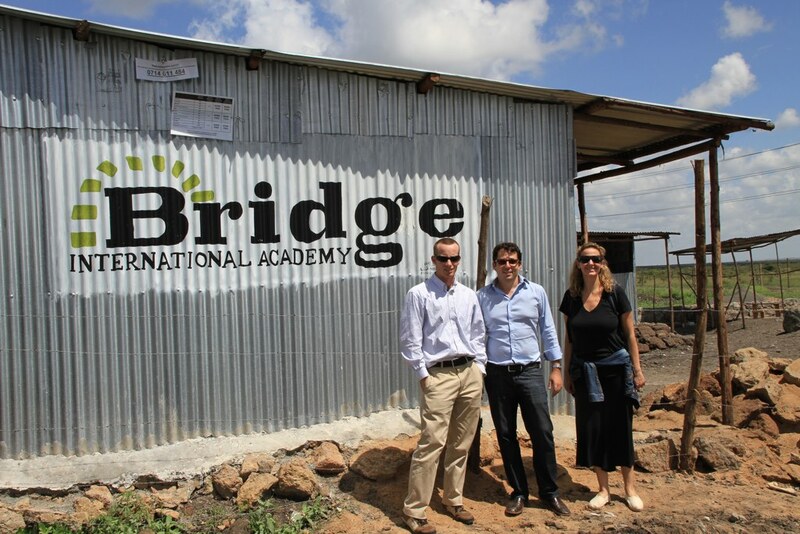 Bridge was marketed to its billionaire investors through the founders’ three-pronged “innovative pedagogical approach.” The first component is the profit motive; being a for-profit company, they suggest, allows them to be sustainable and build thousands of schools in only a few years. Secondly, Bridge hires unqualified teachers, many being recent high school graduates, who receive “a few weeks of training.” This allows the company to bend labour laws and drastically underpay their teachers. To earn a bonus, teachers must recruit more students to the program: an anonymous former-teacher revealed that teachers are told to lie about the program’s actual cost. Lastly, BIA classrooms are recognized for their use of technology. Lesson plans are created through a curious mix of American and local writers, input onto tablets, and given to teachers, with precise details down to the minute in which they should erase their chalkboard. Their “innovative approach,” however, has been criticized in its resemblance to a marketing-heavy, profit-driven business approach. BIA came under fire both locally and worldwide when it was introduced, but its recent expansions and denied access to information have brought the company back into the spotlight. Like many businesses, the costs of BIA are higher than they appear. Though Kimmelman and May say that their schools require only US$4 per month per pupil, the price in fact runs between $9 – $13 when additional costs, such as exam fees and uniforms, are added. Yet, teachers are instructed to “only mention the basic price to new customers.” “We promised [the students] heaven,” an anonymous ex-teacher said, “otherwise we lost our job.” It is the students, then, who suffer, with many dropping out of BIA due to unexpected costs and the unfulfilled promise that an overseas sponsor will cover half the tuition costs. While a teacher’s pay in Bridge schools is more consistent than in state ones and while teacher absenteeism has decreased, the situation is far from perfect. The teacher’s role, moreover, has shifted in Bridge schools. Not only does marketing become a major component of their job description, but the educational aspect becomes robotic as teachers have no input on the material nor the way it’s taught. In BIA schools, the tablet is law: this universal script is criticized for inadequately representing the country in which the school is located, with material irrelevant to the country’s needs. If May and Kimmelman care as deeply about the countries they work with, one could assume that they would work with the education community and teachers and focus on the country’s individual needs. Instead, they go for the one-size-fits-all –aka “Africa is a country, right?”– approach that allows Western ideology to infiltrate African education. Most can agree that BIA’s programs have some problematic aspects. Still, many then argue that, if the education received from these schools produces ground-breaking results, perhaps they are not such a bad idea in the short term or at least until the generation of educated children grow up to transform their country’s economy and take control of its public services. There there are two main problems that make this notion idealistic. The first problem is that BIA shows little interest in passing the baton back to the country, instead presenting plans to expand. Secondly, there is little data to suggest the academy’s effectiveness, and the glowing results BIA announces have been proven to be misleading time and time again. In a study conducted by BIA, 100% of teachers would “like to grow with the company.” The numerous reports detailing parent, student, and faculty complaints and accusations of exploitation beg to differ. Groups such as Education International (EI), the UN Committee on the Rights of the Child (UNRC), and the UN Committee on Economic, Social, and Cultural Rights (UNESCR) were also able to see through these fabricated statistics. After BIA took legal action against Kenya’s National Teaching Union, EI expressed “deep concern” over the fact that the academy was “increasingly desperate” in their attempt to silence critics. Letters from Bridge’s law firm subsumed these suspicions when they were leaked in 2017. Their contents revealed that anyone who spoke against the schools were not only fired but threatened with defamation lawsuits. Concerned citizens and non-profit organizations then took to doing their own research, discovering the company’s infringement on freedom of speech, unfulfilled quality claims, and “dismissed criticism from non-governmental organizations and trade unions.” Later, Bridge admitted that the deal for PSL was dependent on their success in Kenya and Uganda. Their need to uphold a positive reputation, then, was costly, hence how the profit motive led them to release misleading statistics. However, given the control Bridge has demonstrated on Liberia’s education system, Werner’s assertion that his public schools are still public is now up for debate. BIA’s expansion violates the partnership agreement. It also demonstrates the company’s disregard for consultation and communication between Liberia’s government and citizens. The supposed partnerships, then, become one sided, favouring multinational corporations and eventually leaving African countries dependent on them. “Provision of public education of good quality is a core function of the state,” Singh says. “Abandoning this to the commercial benefit of a private company constitutes a gross violation of the right to education.” The power of such corporations allows them the privilege to be excluded from “equality, democracy, and rule of law,” by excluding the input of parents, students, and faculty members. The act of progress through democratization –voicing concerns and working to improve them– is non-existent within this model, thus inhibiting long-term change. Not only do they disregard critical voices, but they actively and violently try to silence them, to suppress Liberians who have no control over the future of their education system, and, thus, to harm the country. The asymmetric partnerships between multinational corporations and Liberian schools reflect a problem larger than education reform by foreign companies: the “white saviour industrial complex” has characterized the way Western countries have viewed international development since African countries gained their independence and since the West wanted to maintain their influence. Teju Cole coined the term to describe the attitude of aid workers who desire to “save Africa” under the racist assumption that Africa needs saving and the West has all the answers. Perhaps the most frightening aspect of this complex is that these workers are ignorant of their racism because of their privilege, which inhibits them from understanding the difference between legitimately helping those in need and serving the guilt one feels when looking at photos of impoverished children without respecting their agency in the process. When consultation is lacking, the programs reflect the company’s values. For example, Bridge’s content was deemed not relevant to Kenyan curriculum objectives. If teachers are found using KIE [Kenyan International Education] books, an anonymous teacher said, “our salary is deducted for that day.” These outsourced schools are thus dangerously reminiscent of colonialism, where Western countries used education as a means of control and, in many cases, indoctrination. Though the intentions of these development programs may be well-meaning, the fact that they do not realize they are disregarding the agency of the country they are entering and do not recognize the power they have in such spaces displays an ignorant and harmful approach to international development. In response to Liberia’s decision to expand PSL –and in light of these systemic issues– Mary Mulbah, president of the National Teachers’ Association of Liberia, presents some alternate suggestions to outsourced education. The high costs required for Liberia to subcontract private companies to provide primary education show that some degree of funds are, in fact, available. “Robust public investment, better administrative management, and stronger accountability for teachers as well as the ministry officials that supervise them,” Mulbah suggests, can help ensure Liberia’s education funds are used most efficiently, and those who write the cheques are held accountable. Unfortunately though, the decision to expand has already been set in place. To go back to a 100% public school system, at least for the time being, is overly idealistic. However, in aims of Liberia eventually re-securing its school system, accountability measures must be set in place to mitigate the control multinationals have assumed over many African schools. International pressure must be placed on Bridge from activists, investors, and journalists alike to adhere to these measures, and further studies must be conducted by uninvolved parties. Unions –which Bridge has consistently attacked– must be strengthened and mobilized, just as Werner initially suggested; this would also help teachers demand higher pay and would provide a platform when they are threatened for voicing dissent. Research, moreover, must be done to assess the good within Bridge’s system and how these aspects can be implemented into Liberia’s public schools, e.g. Bridge’s electronic payment methods help mitigate corruption. When approaching international development in general, companies that aim to provide sustainable help and respect the country whose territory they are entering must first ask themselves: what, specifically, do these countries need and want? ; how can a development project make local voices central? how can the citizens’ agency be respected and safeguarded? ; what are the standards that the company and the country’s citizens can both agree to? ; and what measures should be set in place to ensure the organization is accountable to these standards? Only then can development work be possibly free of paternalism, colonialism, and the white saviour complex.